Up until now, the only images we had seen of the McLaren Senna were fancy studio shots (or possibly CG renderings – it’s hard to tell). 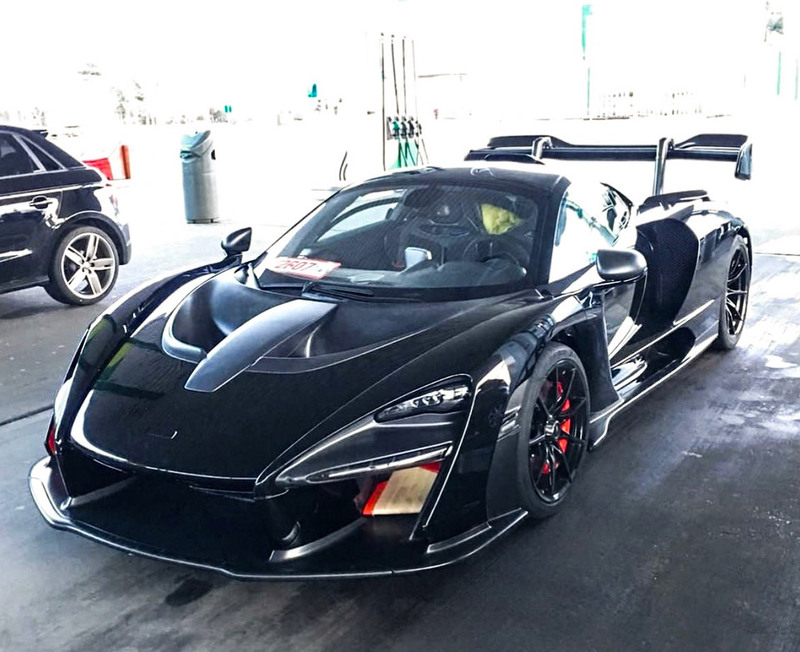 Now, some images of a Senna have been published that show the car out in the wild. This Senna was seen by Luke Papworth of Hampshire Photography while it stopped for gas, and it is the first solid color car we have seen. In all-black guise, the car loses some of the weird looks seen in the two-tone images. This car is probably a production prototype, as deliveries are slated to start for months to come. Frankly, the Senna looks fantastic in a solid hue, and is probably how McLaren should have shown it in the first place. It almost looks as if the car is missing the door windows in one color. If I were buying a Senna, I’d want it in black – and I normally loathe black cars. The Senna even looks like it is doing 300 mph sitting still. I can’t wait for performance numbers to be revealed for this bad boy.